I have always had a secret crush on Melbourne. As a student I would relish the chance to head down for a uni conference, catch a few games at the Australian Open or to visit my family and friends scattered around the bay. Then after almost a decade in Berlin, going back there a few weeks ago reminded me just how much that it is truly Australia’s most creative, sport-loving and I have to say, quirkiest city. A smattering of continental Europe in the heart of a sunburnt country. As with all things that are rather unexpected, a combination of timing and opportunity meant that I got to go down to Melbourne last month. for the tennis but for something equally as riveting ….just without Roger Federer or tennis racquets. The German-Australian Chamber of Commerce invited me to MC the Australia-Germany Business Summit at the Sofitel on Collins in the CBD. 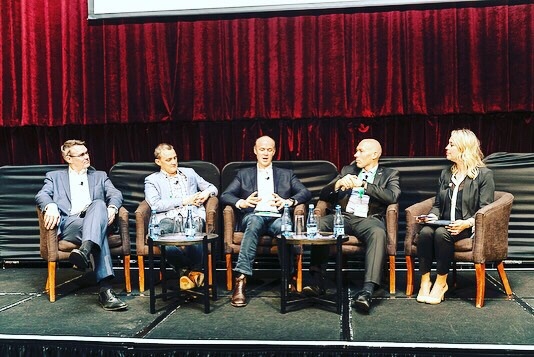 This Summit was the largest of its kind bringing together incredibly interesting and innovative German, Australian and European delegates from across industry, government, startup, Mittelstand, and the Arts. A large part of the day that took up much discussion was looking at the future of Free Trade and the EU-Australia free trade deal that is currently in negotiation. 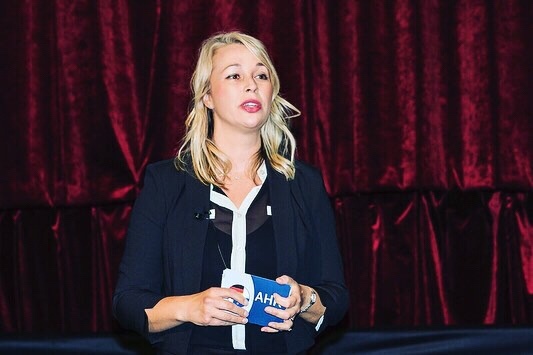 I thoroughly enjoyed bringing my unique, authentic and personable “Petra” speaking + facilitation style. There was lots to research and prepare beforehand though: I had to read up on the latest developments in digitalisation, big data and wait for it, the technology of the moment, blockchain. In BOTH countries. There were 8 speaker bios to read up on and draft. Not to mention practise before the event. 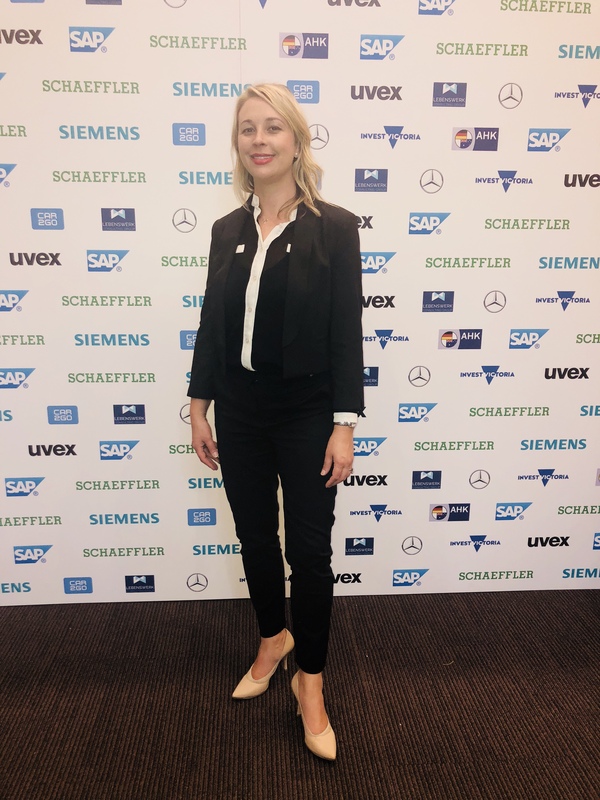 I MC’ed the opening plenary + introduced the government keynotes from the German Ambassador to Australia, a real legend Dr Anna Prinz, the Director of the German-Australian Chamber of Commerce Alexandra Voss, a German MP Volkmar Klein, as well as Australia’s Minister for Trade, the Hon. Simon Birmingham. I was rather nervous about the opening plenary because of the fine line between wanting to add a distinctly easy going Australian style at a serious business gathering yet knowing it was really important to take into account the cross-cultural component and Germans like to take humour out of business gatherings, most of the time. Particularly with the Ambassador and the MP, as German native speakers, it was my job to put them completely at ease in Melbourne. As it turned out, they prepared their speech in fantastic English. I see my role as MC as the bridge, the connector, as an Australian who has lived and worked in Berlin and Europe for almost a decade. It is the type of work where all my interests and passions naturally converge: learning and understanding about tech issues and being able to discuss blockchain and explain it to a 200 delegates was no easy task. Especially because as of only a few years ago could anyone actually articulate what on earth it is. And also to ensure that the delegates were aware of cutting edge issues facing their own and other industries, particularly strategies to encourage more women to enter STEM careers. Lastly, being able to bring these two cultures together. Bridging that cultural gap was a hard task. I had to came up with a creative icebreaker for the panel that was also intended to connect the speakers with the audience and with the secret hope it would get some laughs. I skilfully extracted some hilarious “digital confessions and mistakes” from these digital gurus and it really did have the audience in stitches. Darren Y from Lakeba talked about the early days of coding and how he loved setting off security alarms through computers in the gadget store at his local shopping mall. Nick Love from Google confessed that he couldn’t beat his teenage son at World of Warcraft. Andre K from Schaeffler talked about the beginnings of coding using basic equipment as a child growing up in the former East Germany and the changes as Germany reunified. Bruce M from SAP talked about how he didn’t understand the language of emojis. It was a great day, tiring but rewarding. And oh, there was a sigh at leaving Melbourne !